The linear way works according to a normative and prescriptive process of how our life should occur. It is a predictable result of a sequence social agenda: marrying, having children, developing careers, and retiring. The third one, if we live well, then happiness and success will follow. It focuses on the rewards of personal life. Not the journey through challenge, difficulties, options, etc. Change is possible as long as it develops the linear plan. Out of the plan, change becomes negative. The linear way of thinking was a success in the USA in the early 20th century; it helped Americans adjust to build character, families, communities, business, and their nation well. However, in today’s world, the linear way of thinking hindered people from functioning efficiently and effectively in their life. They can be dysfunctional, angry, disappointed, scared, reactive, and cynical. The cyclical portrays life from childhood to adult years by going through the adolescence phase, as the time of preparation for many directions and opportunity such as: growing up in a family network to experience living with many family forms and activities, travelling, sports, hobbies to developing basic skills, acquiring a global picture of human challenge, technology, events, and building a variety of friendship through social media with comfort, world issues, disagreements, orientations, etc. I always remember Dr. Bergquist and Dr. Weinberg who said to me that living the adult years is not a pessimist kind of life that makes us stop giving contribution to our surrounding, let alone to the world. Thank you, great Profs! PSP has been my part of my spirit and constantly inspires my adult years. It is amazing. Following our conversation today I could not stop thinking about all of the benefits the Alumni Association could provide for [PSP]. The Alumni Association can be responsible for the organization and publication of a Professional School of Psychology yearbook each year. The accreditation committee wants to see all of the students together. What better way to present the students? A school yearbook with the pictures, backgrounds and present majors of the students enrolled. The activity section of the yearbook can reflect projects like the opening of the orphanage and other special projects that students are engaged in all over the world as a result of their enrollment and study at The Professional School of Psychology. I know this is something that we can accomplish. I believe the school will greatly benefit. You touch so many lives and bring out the best in each and every student. You have a special gift. Every aspect of the school far surpasses any so-called traditional university. In today’s world what is traditional?! I can write a book about the advantages of The Professional School of Psychology over a “traditional” university. A section of the yearbook can provide comments regarding the benefits of the school vs going to a traditional campus. Katherine’s impassioned statement can certainly provide the impetus to get something started. During the past couple of decades, several of you have offered to get the Alumni Association started. If you are still interested, please let Bill Bergquist know (www.bill@psychology.edu). Katherine Milliken is eager to lend a hand, as are several of our current students. But we need the wisdom and “authority” of the PSP graduates—so let us know if you would like to help. There is an even more specific step we can take. This concerns Katherine’s recommendation of starting a yearbook. While we can’t commit to publishing a book each year, we certainly can prepare and publish one this year—for this is the 40th Anniversary of PSP (1979-2019). We request pictures, brief stories, scanned documents (such as diplomas, graduation programs, class notes), and perhaps even brief statements written by you about how PSP impacted your life. These can all be assembled by out staff (who know how to prepare these Sutterfly books) into a hard-bound yearbook (probably 50-80 pages in length). This beautiful volume would be available for purchase by PSP alumni and students. If we received documents from you by June 15, we could assemble and publish the book in time for our Gathering in Maine (see description below) in August. Our request therefore is: please contribute to the PSP 40th Anniversary volume. Send your materials by June 15 as attachments to an email or by mail to Melissa Lilley: melissal@psuychology.edu or Melissa Lilley @ PSP, Suite 140, 3550 Watt Avenues, Sacramento, California 95621-2666. As the Chief Student engagement officer, I am privileged to serve the PSP student body. I am responsible for ensuring that your academic needs are met. Whether you are a new student or part of the existing student population; I share a commitment with the executive management to provide an extraordinary learning experience for all students. I have had a long history and passion with PSP. I am now serving in a new capacity than I have over the last 9 years. Since occupying this position 6 months ago I have been delighted to have quarterly contact with all the students on an individual basis. As I grow to learn more about each student, it is my mission to celebrate the uniqueness each student brings to the mission of PSP. I intend to support and enrich your learning experience and careers by meeting the educational needs of our adult learners. In my leadership I will be focusing my efforts on ensuring that each student can maximize their potential and pursue their individual educational goals. I have initiated effort to database automation of historical academic records and the automation of your course programs from zoom to Moodle. I am your “womb to tomb” contact. Please feel free to contact me with any questions or concerns. As many of you know and some of you have already experienced, PSP is now convening a week-long Gathering each year of its students from around the world. Held during the second week of August in either Asia or North America, the Gathering provides a distinctive opportunity for students to not only complete two courses (the Gathering is supplemented by several digitally-based course sessions before and after the Gathering), but also meet with their fellow students in an intensive residential setting. The Gathering is held in a retreat location that provides beauty and tranquility, as well as access to local arts and diverse market places. Most importantly, this is a global community. As part of the unique PSP blending of digitally-mediated and in-person education, the Gathering provides students, faculty, administrators and PSP Board members with an opportunity to share meals, walks, and entertainment with one another – and with the essential opportunity to talk with one another about educational experiences at PSP. 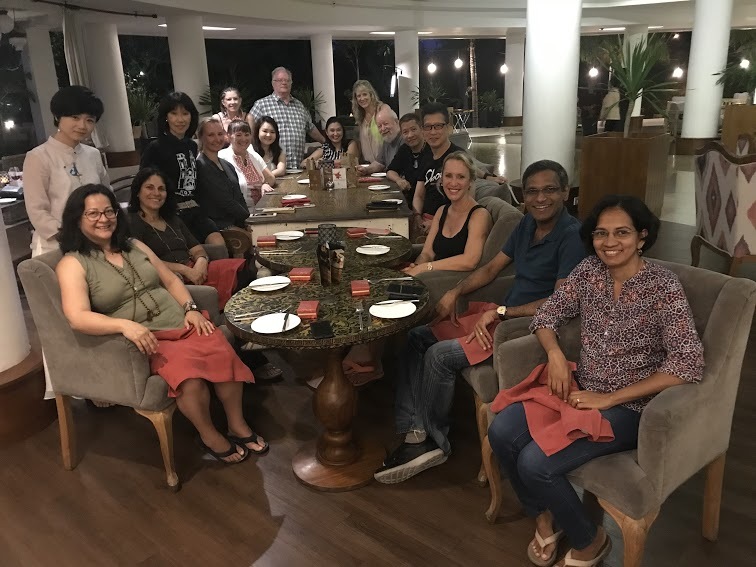 While most of the courses at PSP are being held via distance education, the presence of a yearly residential experience further enriches the educational experiences of PSP students – a Global community of life-long learners emerges and is reinforced by each of the Gatherings. During the summer of 2019, the Gathering will be held in Brunswick Maine—a college community located about 2 hours north of Boston. At this gathering, students and faculty will not only be able savor the legendary Maine lobster (supplemented by some local clams and oysters), but also savor the insights to be gained from a course on the history of psychology (as seen in part through the lens of polarity management – a powerful analytic tool), a course on neuropsychological assessment and a third course of group and organizational intervention. As we have done over the past two years, we invite alumni to participate free of charge in one or more of these courses – to be held from August 12 to August 18. Held in the “backyard” of our president, Bill Bergquist, we have set up housing at a lovely inn in Brunswick Maine (home of Bowdoin College one of the three oldest colleges in the USA). Within two blocks of the inn are great restaurants of many different types (Bowdoin attracts students from throughout the world). We will also host several dinners at President Bergquist’s home – complete with lobsters and clams fresh out of the sea (Bill’s home is located on the Atlantic Ocean shore) as well as locally grown vegetables, summer corn, and Maine blueberries!! Maine is filled with opportunities. During the evening and/or during our day off, you to attend wonderful summer theater, go to a nearby ocean beach, visit several of the finest art museums in America (featuring the work of such Maine artists as the Wyeth family, Winslow Homer and Rockwell Kent), and/or paddle out to nearby islands using the kayaks at Bill’s home. Brunswick, itself, is filled with American history. Near the Inn where we will be staying is the church where Harriet Beecher Stowe envisioned “Uncle Toms’ Cabin” – the most widely read novel of the 19th Century and a very influential document leading to the abolition of slavery in the USA. 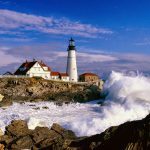 This region in Maine is also the home for many other major novelists and poets – Herman Melville, Nathanial Hawthorne, Edna St. Vincent Millay and more recently Steven King. Also on the list are the many opportunities for shopping – the legendary L.L. Bean store is twenty minutes away, as are the factory outlet stores in Freeport (the first outlet stores in America). There are also ample pottery and art galleries located several blocks from the hotel (and in Georgetown – a nearby village). So, if you are an alumnus of PSP, we invite you to join us in Maine for education, comradery and many places to visit and foods to sample!! Just contact Melissa Lilley (melissal. @psychology.edu) and she can help you with the accommodations. 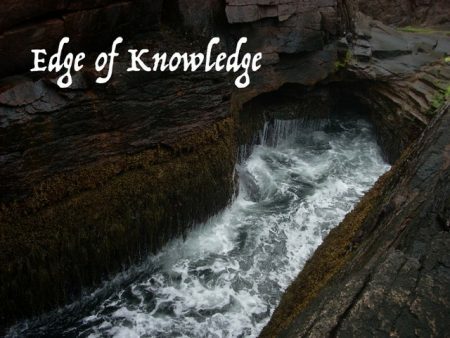 PSP is setting up an exciting seminar series called The Edge of Knowledge: A Two-Hour Graduate School. This seminar series will be offered virtually to professionals throughout the world. Each seminar is based on some recent research from the fields of psychology, medicine and organizational management. While many of the professionals coming to each seminar are engaged in the field of personal and executive coaching, these two-hour graduate school seminars hold direct application to all fields of professional psychology. Each seminar will be highly interactive (the attendance is limited to 20) and each seminar will include one or more articles and references regarding the topic at hand, as well as at least one tool that can be immediately used by the seminar participants. 70 Pathways to Sleep: The inaugural topic. Our first Two-Hour Graduate School will be held on April 16 (Tuesday) 1pm-3pm (East Coast USA Time). This first Edge of Knowledge session will be facilitated by Bill Bergquist, who will present the latest findings on how one achieves a sustained, deep and restorative night of sleep. Without adhering to any one school of thought or body of research regarding the science of sleep, Dr. Bergquist offers seventy sleep strategies, grouped into four major categories. Seventy Pathways to Sleep is delivered virtually via a digital format, with participants being given a direct link to the Zoom Video conferencing tool. The Edge of Knowledge programs are truly seminars, with small group breakout sessions and live interaction with the presenter. That is why enrollment is restricted to 20 people – with registrants being accepted on a first-come-first-served basis. The regular cost of Seventy Pathways to Sleep is $85 which is paid with a credit card via paypal or by check. Because you are a student or alumnus of PSP, there is a $20 discount—bringing the cost of this seminar down to $65. If space is available after April 9, the late enrollment tuition is $95 (a $10 discount). Registration closes 48 hours prior to the seminar. Those interested in enrolling in this Edge of Knowledge graduate school session should contact Melissa Lilley at melissal@psychology.edu (a direct line to Melissa which differs from that provided to non-PSP registrants). 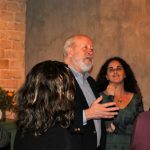 The Edge of Knowledge is co-sponsored by The Professional School of Psychology, The Santa Fe Center and the Library of Professional Coaching.